As was the case all over the Caribbean, St. Kitts and Nevis were first settled by Arawak and Carib Indians moving up through the islands from South America between five and seven thousand years ago. When Christopher Columbus arrived in 1493, both islands had long been occupied by substantial Indian communities. However, by the early 17th century the inhabitants of Nevis had disappeared--victims of Spanish attacks, European diseases, and, possibly, forced labor on an ill-fated Spanish pearl diving project on Cubagua, an island off the Venezuelan coast. With the booming sugar cane industry came riches. 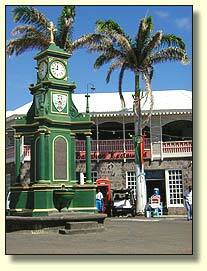 The island became so dependent on slave labor that by 1700 about 3/4 of the residents were slaves. By the 1780s the impetus toward the abolition of slavery was becoming clear. In 1834, slavery was finally abolished. In the 1800's, the sugar cane industry diminished rapidly, and with it the island's fortunes. Over the course of the nineteenth century life on St. Kitts was difficult, as economic inactivity combined with natural disasters frustrated revitalization efforts. In fact, it wasn't until the rise of tourism in the last few decades that St. Kitts and Nevis again gained recognition as pearls of the Caribbean. Today, the country is a model of peace and stability in the Caribbean. 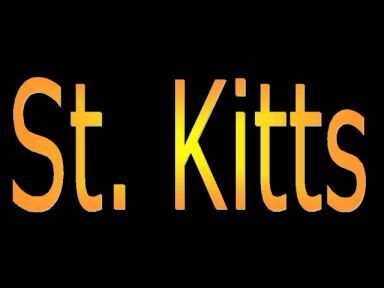 The Federation of St. Kitts & Nevis, established as an independent nation within the British Commonwealth in September of 1983, is democratically ruled, with an economic focus on tourism, sugarcane, and ecology.